BREAKING NEWS! Microsoft has officially killed the Kinect. Kinect devices will be available in stores until they run out of stock. Amazon has dropped the price of the sensor to $49. The Kinect SDK and drivers will remain compatible with Windows 10. What about your existing customers? Stopping the production of the sensor means that Kinect will be alive for at least one year. If you have already developed Kinect applications, your customers will be able to use them as-is without any compatibility issues. In terms of software, no changes are required. In the meantime, you have a year to transition to a different device and adjust your existing applications accordingly. Should you dump your current Kinect projects? No! Kinect for XBOX ONE is not going to end right away. Hardware does not just disappear. Even Kinect for XBOX 360 is still available, 4 years after it was replaced by Kinect v2 and 1 year after it was discontinued. Standalone applications that run on booths, exhibitions or other types of installations (such as the Madame Tussauds New York museum) do not need an update. Customers will be able to use them just like they did. On the other hand, games and consumer-centric apps will definitely need to transition to a new sensor. So, if your business relies on your customer acquiring a new device, then you seriously need to consider an update. The transition does not need to be painful, though. My team of experts will help you choose the device that fits your needs. Contact us to get a low-cost consultation, save money, and take your business to the next level. Thankfully, the developer community is very active. New companies have emerged and we already have a lot of alternatives to the Kinect. Today, I’m going to present my top choices. Keep in mind that I am only presenting the sensors I have used professionally. If you have another suggestion, feel free to write it in the comments below! VicoVR is a sensor targeting mobile Virtual Reality and mobile gaming. VicoVR has a very decent body-tracking SDK that will make you forget about Kinect. Using the Vico sensor, you can transmit Depth and Body data from the device to your Android or iOS smartphone! This opens a world of opportunities, especially considering that most of the upcoming flagship smartphones will meet the hardware specs for VR. As a downside, VicoVR transmits data over Bluetooth, which is slow for some scenarios. The firmware is also lacking support for various Android models. I expect a wider smartphone/tablet/PC coverage in the future. Orbbec has been around for 4 years and provides 2 different kinds of depth sensors: Orbbec Astra and Orbbec Persee. Orbbec Astra is a Kinect-like device that brings depth sensing to the connected computer. Orbbec is preparing a body-tracking SDK for Astra with Unity support. This is going to be the natural successor of Kinect. Orbbec Persee is a standalone sensor with an integrated Operating System. 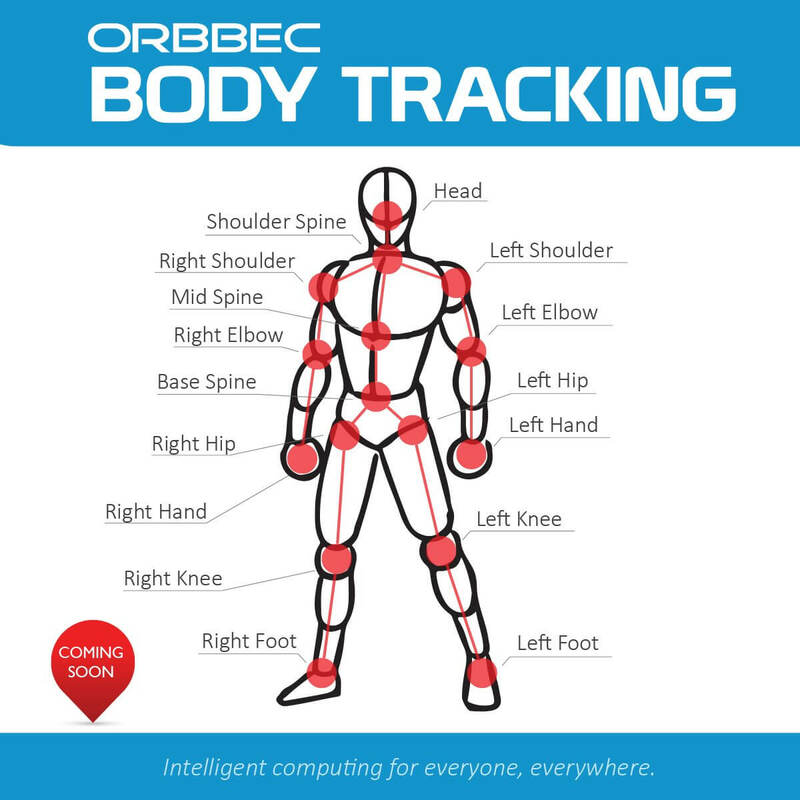 Orbbec Persee already includes a body-tracking SDK. All of the heavy-lifting is done on the device itself. It’s a great option for many types of portable applications, considering that it’s an Android/Linux device. Chances are you’ll need to rewrite most of your code, though. The broad feature support makes Orbbec the most mature option right now. Moreover, Orbbec and 3DiVi (the company behind VicoVR) have created a joint venture to merge both devices on Android platform. Orbbec will provide the hardware and 3DiVi will provide its Body and Face tracking SDK. ZED is a state-of-the-art 2K camera. Unlike Kinect and Orbbec, ZED is not using an infrared sensor to measure depth. Instead, it’s mimicking the way the human eyes work: it features 2 super-high-resolution sensors that estimate the perception of depth. Regardless of its impressive specs, the ZED camera has no body-tracking SDK. Consider purchasing it if you have been using only the RGB and Depth streams of the Kinect. OK, this is HUGE. OpenPose is not, actually, a device. OpenPose uses any plain webcam (!) to track the human body, face, and fingers. The accuracy of OpenPose is remarkable. I truly believe it’s going to dominate the market within the next few years. OpenPose was developed by the Perception Computing Lab of Carnegie Mellon University. It’s open-source software, hosted on GitHub. Right now, OpenPose is not market-ready, though. OpenPose requires a beast-level PC to run and it’s quite tricky to setup. It lacks support for popular platforms (e.g. Unity3D) and its commercial license is $25,000/year (and cannot be used for sports applications). Consider using OpenPose for non-commercial applications or R&D projects only. If you are using Kinect for your business, it’s time to consider the transition to a new sensor. The transition does not need to be painful, though. My team of experts will help you choose the device that fits your needs. Contact us to get a low-cost consultation and take your business to the next level. As a business owner and Software Engineer, I have to make a choice that covers the business needs of my clients and customers. Even though OpenPose seems to be the future, Orbbec is, by far, the most reliable option right now. Their team has the know-how to deliver exceptional products and services. 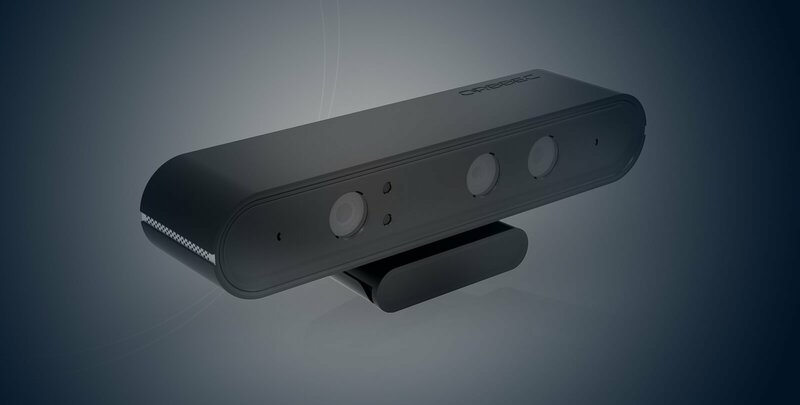 Orbbec has both the hardware and the software to replace Kinect. Hi, are you planning to release a Vitruvius porting for one of those alternative devices (maybe Orbbec)? Hi Paolo. That’s right! We are planning to support Orbbec and Nuitrack-based cameras shortly. Hi, are you planning to use the new Kinect for Azure in some way? Hi Paolo. Sure, this is definitely something we are seriously considering. Thank you for your comment. I will definitely give it a try! + thanx a lot for the comparision /effort and sharing of your knoeledge! ¿do you know what infrared / DoF camera would best choice to track a big area like 20 by 20 m (resolution not so imoprtant ) ? ¿ could Openpose (in an b/w infrared setting be the workaround weapon of choice ? Hello Mickey. It really depends on your use-case scenario. RealSense has a quite big field of view. However, if you need to track more than 6 people, then OpenPose is an amazing option. I have successfully used OpenPose to track 30 people in real time. Hi, I’m using Orbbec Astra. I agree that Openpose is amazing, but I can’t find out how to use it with Orbbec camera. Hello. There is no SDK for that. You’ll need to experiment with the raw data.